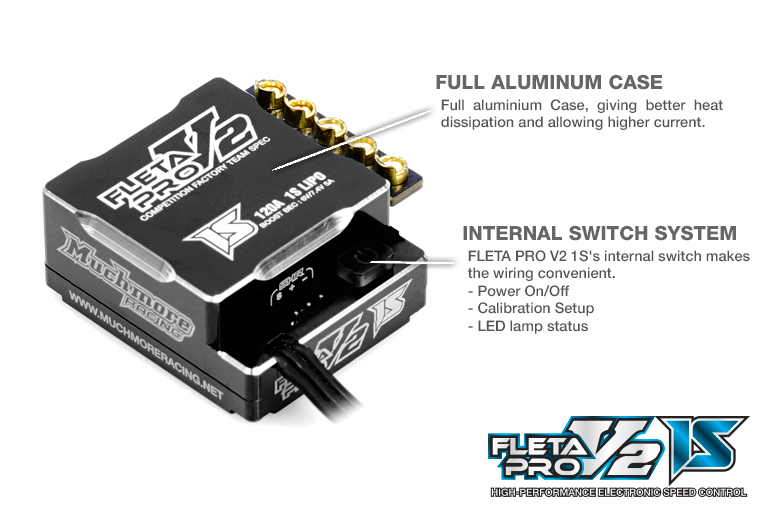 FLETA PRO V2 1S’s internal switch makes the wiring convenient. 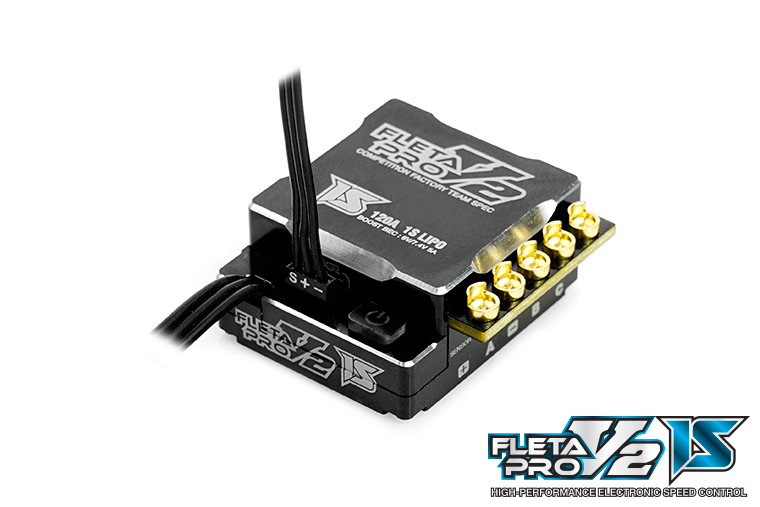 FLETA PRO V2 1S’s compact & lightweight design, will make variety layout and spacious space on chassis. More easy adjusting the chassis balance. 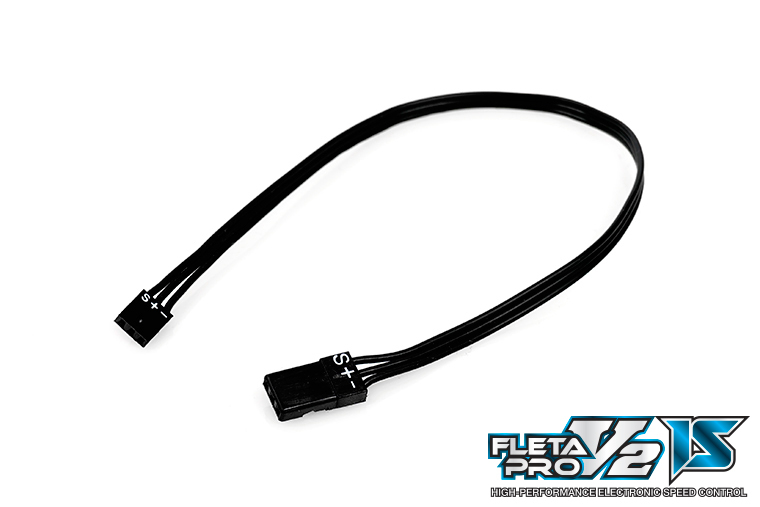 Included New type SHR Program Card Connector. 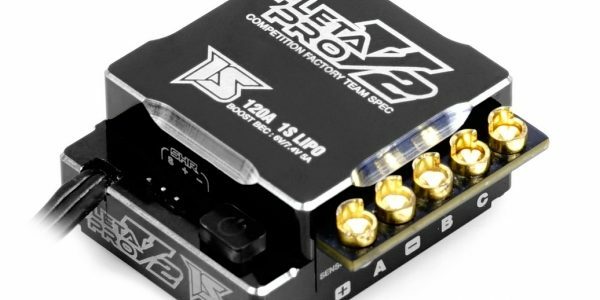 FLETA PRO V2 1S is only used to New Connector with SHR Program card.